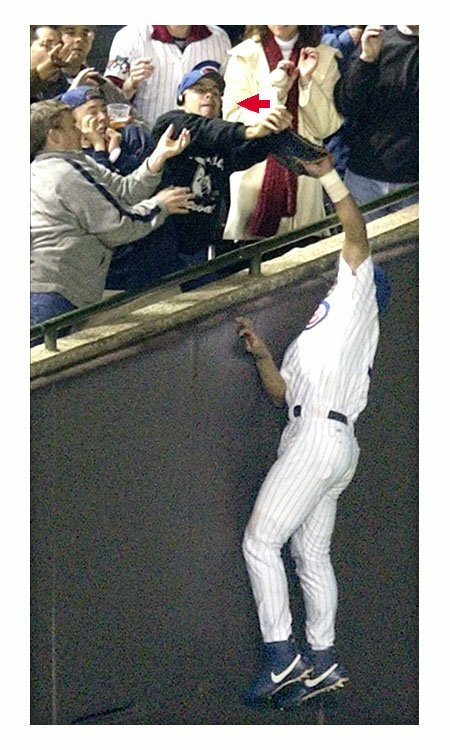 He's the poor 26-year-old Chicago Cubs fan who last night got his hands on that foul ball headed for outfielder Moises Alou's mitt. Bartman, who attended the University of Notre Dame, works for a Chicago-area consulting firm and serves as coach for a local youth baseball program. We wanted to speak with Bartman about last night's incident, but he did not return messages left on his office voicemail. And when we dialed Bartman up at his apartment--about three miles from Wrigley Field--we got a recorded message saying that his number had been disconnected. Which is probably not a bad idea.